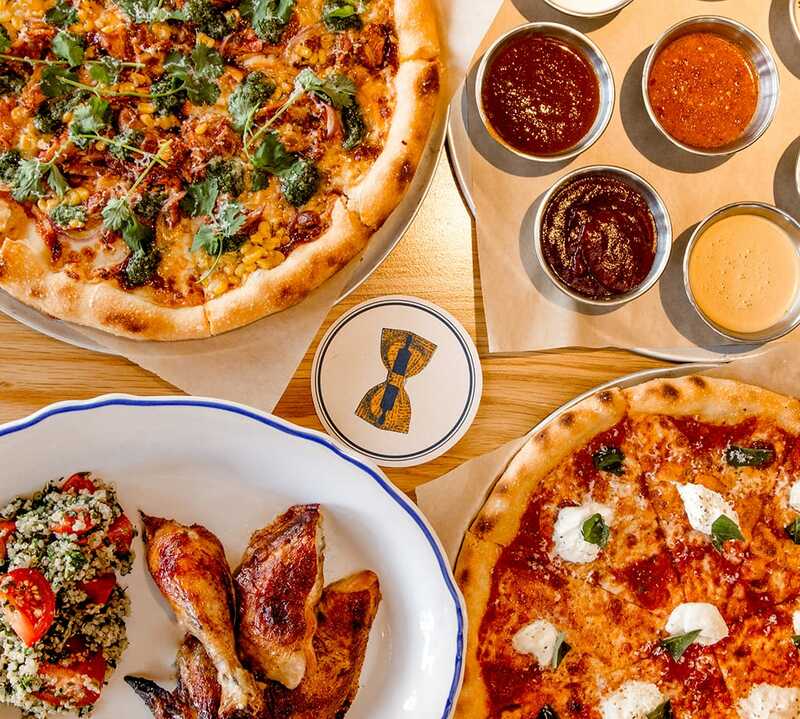 Nothing else can quite satisfy cravings for comfort food quite like the offbeat combination of house-made pizza from our wood-fired oven and tender, juicy rotisserie chicken. With shareable and savory dishes like Shishito Peppers doused in umami sauce and Caramelized Cauliflower with tangerine and Marcona almonds, our dishes are sure to indulge the most flavorful of appetites. Wash it all down with a local brew or hand crafted cocktail from our bright and friendly wrap-around bar. A Bourbon & Bells cocktail made with smashed bell pepper and clover honey alongside a sweet and tangy bite of Lemon Meringue Pie await you at the end of your meal. We keep our menu fresh and interesting, just like you. Come and join our #CleanPlateClub.